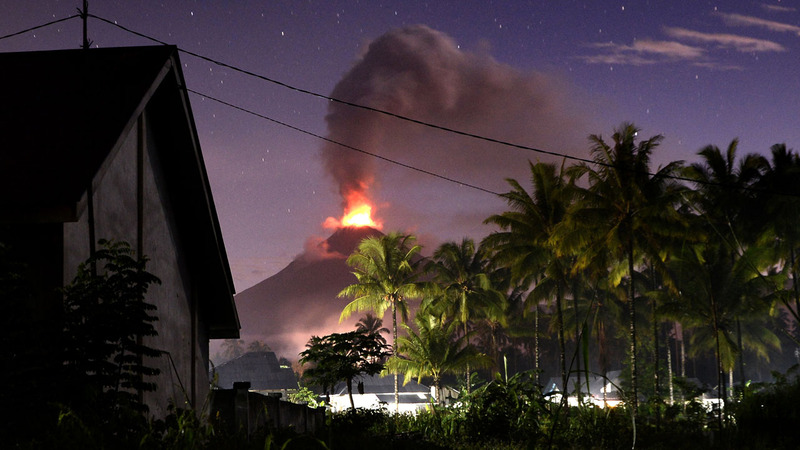 Indonesia’s Mount Soputan volcano on the quake-and tsunami-hit island of Sulawesi erupted Wednesday, spewing volcanic ash 4,000 metres into the air. Images showed an eruption visible for miles around, with a cloud of ash climbing in a large vertical column with a mushroom-shaped top. Soputan is around 1,000 kilometres from the town of Palu where a 7.5 magnitude earthquake triggered a tsunami that lashed the coastline killing almost 1,400 people.